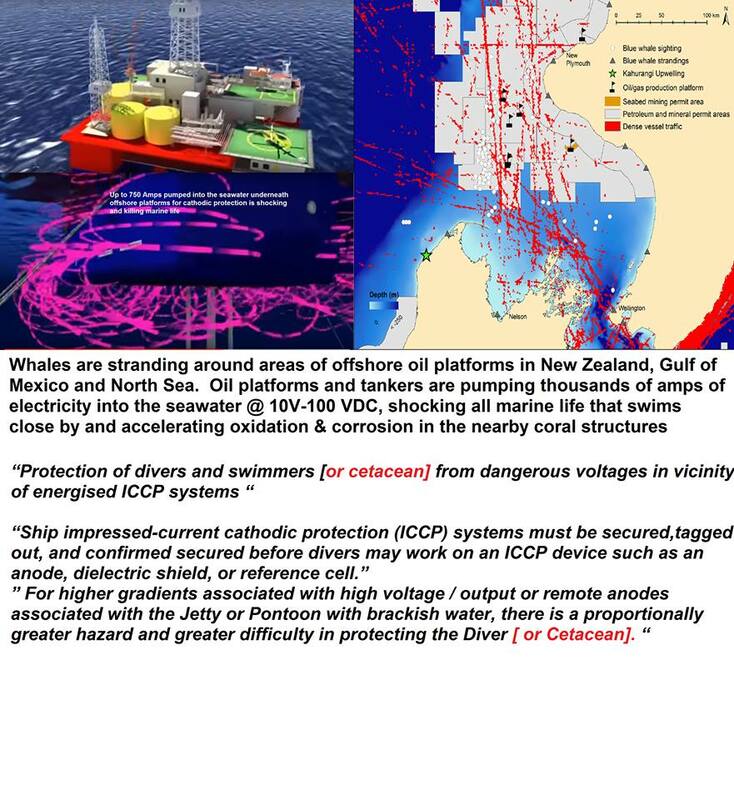 This third interview with chemical engineer and marine electricity researcher Stewart Simonson was timed to co-incide with the marine and cetacean holocaust slated for next week in the Inner Hauraki Gulf and Auckland’s Waitemata harbour referred to as the Operation Mahi Tangaroa ‘war-games’ involving over 30 warships from a dozen and a half countries, including the first U.S. warship to visit New Zealand’s waters in over 30 years, the U.S.S. Sampson. Auckland’s ‘peace activism’ crowd, whose mentality is about two or three decades behind what is happening in the world, have led themselves and others to believe that if these warships are only packing ‘conventional weapons’…as opposed to nuclear weapons…then no damage to life or limb is forthcoming. Despite my series of radio interviews, done by me as well as with me, and blog postings over the past few months, providing state-of-the-art information on the ‘next generation’ of weapons systems in use by the world’s navies, these laggard mentalities refuse to understand that in the world of today, EMR, microwave, plasma and directed-energy has replaced ‘conventional weapons’ that use mere explosives. 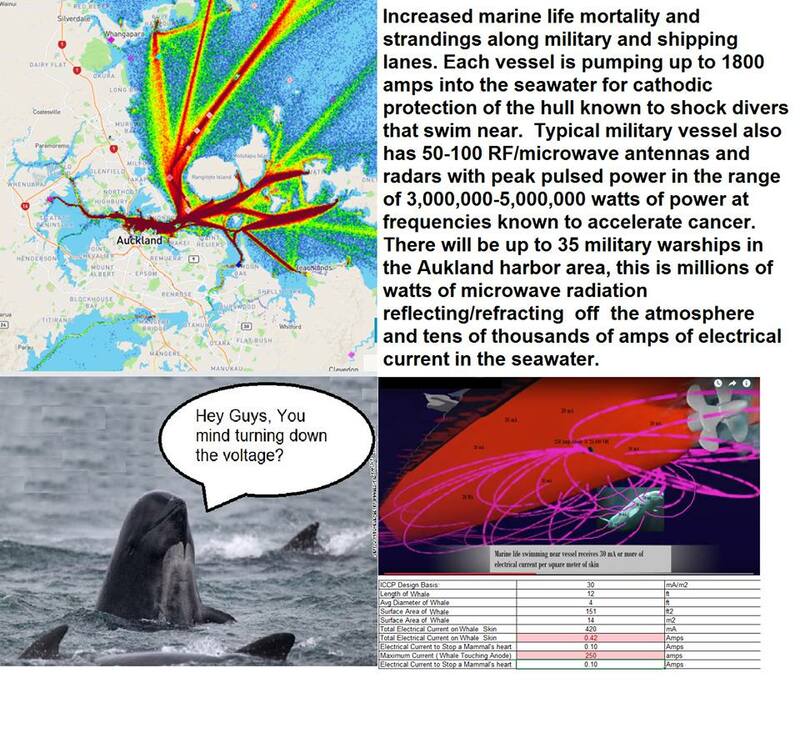 Stewart Simonson and his marine biologist compadre in Hawai’i Terry Lilley have enabled us to become aware of a previously little known and extraordinarily destructive…yet essentially invisible…threat from constantly mutating military-industrial technologies., in this case, high-voltage/amperage electrical fields emanating from the hulls of vessels coupled with high-intensity microwave radiation both in the air and under the water.